Consumer research in key markets to unlock the secrets of building a great app. The latest case studies and best practices. Interviews with app developers and established industry experts. Developers will also find content related to turning a great idea into a great app, with insight into app design and development, funding, and how to actually make a business out the app. As a reminder, today is the last day for students to submit their apps through this link, and business reports are due on 15 April 2014. Ever wondered what it’s like to work as a marketing intern in Google Seoul? Meet Hyungjun Lim, a student at Seoul National University majoring in Political Science, who just finished six months interning on the marketing team in Google Korea. Tell us a bit about your marketing project. Google’s marketing process varies according to each of its products. For example, our marketing activities cover specific products as YouTube, Android and G+ but we also do marketing for Google’s advertisers (both large companies and SMB). Although my title on the team was “intern,” my responsibilities went far beyond that. I had to go through the entire marketing process beginning with planning, budget confirmation, execution and finishing with review & analysis. Each step has to be carried out efficiently and meticulously. During my internship, I was in charge of G+ marketing. My task was to increase brand awareness of G+ among Korean users and on-stream engagement of current G+ users. As an effort to achieve the given goals, we planned various marketing activities including the Beyond K-Pop Live Concert Series and Plus Photobook Project with Korean Air. I was also the project manager for Eric Schmidt’s 1-hour talk session with college students. Although this project was not directly related to my original responsibility, I gratefully took on the project as part of a cross-functional coordination with the Google PR team. Clear and efficient communication is essential when you are going through a marketing project. Communication is also not limited to just your team--it extends to your relationships with external partners. Successful marketing campaigns can never be accomplished by our efforts alone. We constantly work with agencies and other stakeholders, which means that many different people have to share one common plan. If a change is made, it has to be timely and it must be precisely informed to everyone. Communication here is more than just an interaction of words. People usually digest external information in their own way. That is, each individual may interpret one message in different ways. The process of reading other people’s intentions and clearly conveying my creative ideas to colleagues was difficult at first. But over the course of my internship, I learned through many interactions how to communicate effectively. I believe this skill of explaining my ideas logically and clearly to my counterparts and understanding other people’s ideas were a few of the most important assets I gained from my internship and this will definitely give me an advantage in the future. We often use the phrase “Googley” when we are describing Google culture from the inside. But what does Googley mean exactly? For me, Googley can be categorized into 3 keywords. This is my own definition of Googley so none of these are officially endorsed. Big picture: Googlers always think about bigger objectives. They don’t stop after immediate necessities are satisfied. They contemplate on measures to maximize the result and consider the ultimate impact of their actions. This attitude is commonly shared with all Googlers from engineers to sales and marketing managers and has become the foundation of Google’s innovation. Respect: Googlers respect fellow Googlers. Every opinion counts regardless of work experience. Also, Googlers are welcome to healthy criticism when there’s a mistake and are always ready to learn from peers. 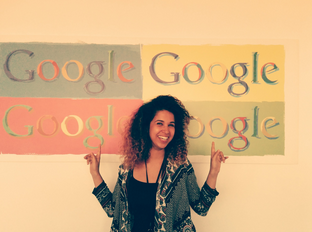 Ownership: My internship at Google gave me the opportunity to develop new strengths and learn a lot. It was an honor to meet and work with fellow Googlers who stay humble, find ways for self-improvement, and always want to share thoughts and advice. Google provides a work environment with a lot of resources for its employees. But if you take a closer look inside, you’ll find that all the resources Google provides exist so that Googlers can fully concentrate on their jobs and have the greatest output possible. An ideal environment to allows employees to be the most productive, high-achieving employees possible in their respective roles. 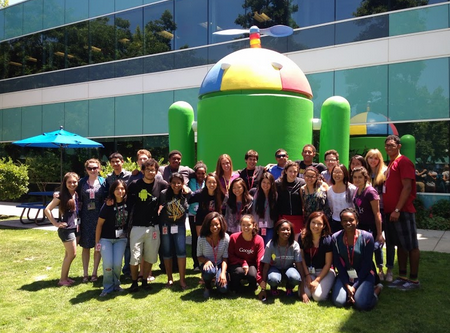 Interested in learning more about internships at Google? Visit google.com/jobs/students and search for opportunities in Business or related fields. 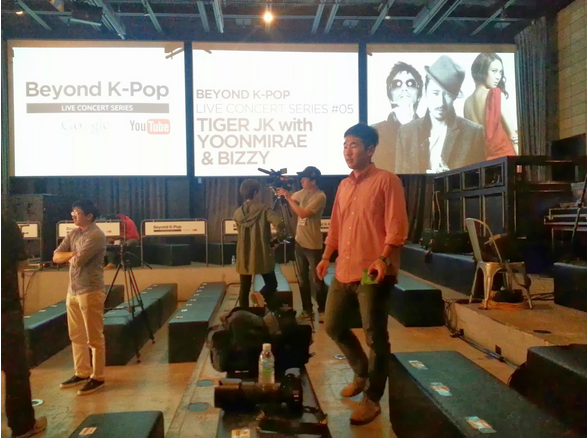 Cross posted from the Google Korea blog. , a PhD student, Google European Doctoral Fellowship Recipient and former Google Anita Borg Scholarship recipient who interned as a Software Engineer on the research team in Mountain View, CA last summer. I’m a PhD student at the Multimedia Computing Group of Delft University of Technology. My research is in the field of music information retrieval; I’m working on technologies to analyze, organize and present the considerable amount of digital music information we currently have at our disposal. I’m particularly interested in making sense of music data by obtaining richer perspectives on it by taking into account information from multiple data sources. These can be recordings of multiple interpretations of the same music piece, but also related information in non-audio modalities, such as videos of performing musicians and textual information from collaborative web resources describing songs and their usage contexts. Music has always been an important part of my life. I was young when I started playing the piano and obtained a bachelor and master degree in Classical Piano Performance at the Royal Conservatoire in the Hague. I’m happy to still be an active musician but I’ve always had diverse interests. In my final year of high school I discovered computer science. The concept of using programs to make a computer do difficult things intrigued me and I realized how much impact CS could have on daily life. My music and computer science studies largely went on in parallel. The combination of instrumental practice and computer assignments caused a very dense daily schedule but I was also never bored. Music information retrieval looked like an ideal synthesis of my two fields of expertise. That’s how I decided to do a PhD in this area. I was fortunate to be the first Google European Doctoral Fellowship Recipient in Multimedia, which allowed me to fund the research project I’d hoped for! Through the Google European Doctoral Fellowship, I was assigned a Google mentor who works on topics related to my PhD interests. In my case, this was Dr. Douglas Eck in Mountain View, who is part of Google Research and leads a team focusing on music recommendation. Since Delft and Silicon Valley are quite far apart, we do not get to collaborate daily. However, Doug has remotely been advising and encouraging me in several of my academic activities, most notably the initiation of the ACM MIRUM Workshop, which managed to successfully bring music retrieval into the spotlight of the prestigious ACM Multimedia conference. While the conference used to be very vision-oriented, thanks to the MIRUM efforts we now have a dedicated music-related submission area in the main track. Still, the best way to really work together is being in the same office. As soon as internship hiring started, I got in touch with Doug regarding opportunities. This allowed me to do an internship with his team in Fall 2011, Summer 2013 and I have another one coming up in Summer 2014. 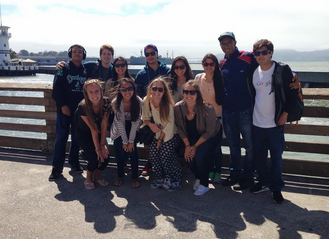 What did you work on in your most recent internship at Google? My task was to find and implement ways to improve classical music recommendation in Google Music. Recommendation for popular music genres which have many listeners work quite well, but in the classical music genre the problem becomes harder, as there both are fewer listeners and more ‘diffusion issues’. In this genre, the representation of a ‘song’ with a certain ‘title’ by a certain ‘artist’ is not sufficient. As for the ‘song’, we often deal with pieces that might be built out of different related movements. As for the ‘title’, classical music pieces often are characterized by a tempo indication, so for example, Beethoven (or any other composer) wrote several pieces named ‘Allegro’, which definitely are not the same pieces. Then, there still is the matter who should be accredited as ‘artist’. In classical music, we usually mention composer names with a piece, but usually, the musician who performs and records the piece is not the composer, but someone reinterpreting the score that the composer originally wrote. So we can have many renditions of the same piece by different performers, and all of these will differ a bit in the audio domain. This causes a lot of challenges around the concept of ‘similarity’: when are two recordings considered ‘the same’ or ‘similar’, also from a recommendation perspective? In my internship, I focused on this problem, and looked for ways to get a richer representation of the ‘artist’ as input for the recommendation algorithms, which are aware of both performer and composer contributions. This led to some clear quality improvements, not just for classical music, but also for other genres in which music tends to be reinterpreted by different musicians. How closely connected was your internship to your PhD topic? In my PhD work I am not focusing on music recommendation that strongly but my internship definitely dealt with getting a richer representation of music data. In that sense it perfectly aligned with my research interests. I didn’t expect it at first, but for this internship I was able to draw upon my background as a musician, and became the "expert" on classical music on the team. Not only did this benefit me personally, but I felt I was really able to contribute by addressing some information scheme challenges unique to the classical music genre. I even had the opportunity to give some tutorial talks, and in the end prepared a lecture-recital in which I demonstrated some key concepts at the piano. Definitely! As a software engineering intern you will be expected to code, and often your contributions will not be restricted to a fully isolated package, but be part of regular pipeline code. It can be quite intimidating at first to be so close to complex Google code which actually runs in production. At the same time, code health at Google is exceptional, so as soon as you get the hang of inspecting the codebase, it’s very easy to contribute to it. I really liked that it was a multidisciplinary endeavor. Since my topic was relevant to the broader group of people working on Google Music, I had the opportunity to interact with many teams, e.g. the engineers working on the Android Music application, and the content specialists who also are genre experts, and already were looking into quality-improving mechanisms. I also enjoyed life at Google’s Mountain View Campus in California, they even have some pianos on campus so I could keep practicing. 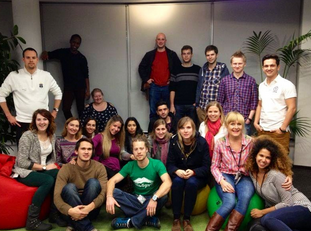 The culture inside Google also is remarkable, you meet many inspiring people who share similar interests with you. I also ran into the most famous faces of the company; I once realized Sergey Brin was having lunch at the table right next to me! 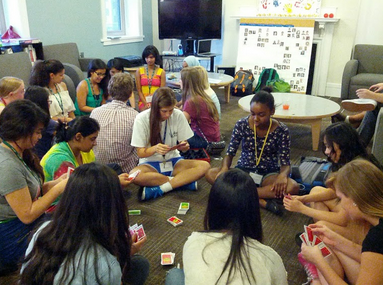 At one point during the summer a special event was held bringing together all female Engineering interns based in US offices. This was really impressive - I don’t often get to be in a room with more than 100 female engineers. We networked, met several female VPs of the company, who talked about their experiences working as engineers in leadership roles. This was really inspiring and having role models like them is vital to the whole discussion about tackling gender and diversity issues in software engineering. The internship was a good chance to polish and improve my coding skills. My project was multidisciplinary and so I also developed my communication skills a lot. How does your internship experience compare against your experiences as a PhD in the lab? Working at an applied university, I am familiar with conducting research with some concrete application and societal or economic impact in mind. At Google, the concrete practical problems are more strongly steering and driving the work. Also, things move really fast. As a PhD, I would spend a few months to elaborate on a problem, come up with possible solutions, and then carefully figure out the most optimal or sophisticated way to fix it. At Google, you are expected to have results within a few weeks. So you need to approach the problem in a very practical way, coming up with a straightforward solution which quickly can be tested. It’s really thinking the agile way: work on small improvements and ensure to always have results, even if they are not optimal at first, since you can (and likely will) go into that at a later iteration. At Google, a strong measure of success is whether you manage to achieve practical impact in the product or service you’re working on. Regarding that product or service, in a company like Google, you are right in the middle of it, and you are expected to help building it. In academia this final application usually is a bit further away, and not the thing you would primarily be co-developing. What impact do you think this internship experience will have on your PhD? Obviously, I can use my improved coding and communication skills very well in my regular PhD work. Now that I have seen the practical side of the topics I definitely have a better understanding of deployment- and adaptation-related opportunities and the pitfalls in technology focusing on these topics. I also have some good ideas on how to maintain good code health in my own work. My internship also sparked some new ideas and inspiration regarding research directions I would like to pursue. Yes. While I am quite happy in academia, the internship certainly made me see that industry is an interesting career option. I have only had a few years of coding experience from my studies and mostly did scripting in my current academic life so I haven't seriously considered the option of working for a company like Google. I didn't think I would pass the software development hiring bar that would allow me to contribute to Google. Furthermore, for both of my internships I needed to code in C++, a language that I had no experience with. However, I wanted to gain professional experience in this particular team, so in the end I just went for it. It worked out remarkably well! While I would not have believed a few years ago that working in a company like Google was possible, I could potentially see myself in that position now. Why should a PhD student apply for an internship at Google? During an internship you will get tons of practical experience. If you get the chance to join a team with interests close to yours, it’s a unique opportunity to be ‘close to the fire’ and help building solutions in your field with the potential to affect lots of users. You get to do this in a quite unusual, but really nice environment, where you surely will meet interesting people and get a chance to be inspired. Go for it! If you are passionate about something, let this be your driving force. Google offers several outreach programs and scholarships for students; apply for them, it is really worth it. If you’re a PhD student: Google is very active at academic conferences. So if you are interested in an internship in a particular area, that is your chance to meet Googlers working in your field. So be brave, step up and have a chat! For more information on our outreach programs and scholarships, please visit our Google Students Job site. Google offers a variety of opportunities for PhD students who wish to gain industry experience. Through our Getting to Know a PhD series, we’ll provide a glimpse into some of these opportunities as well as the impactful projects PhD students at Google work on. 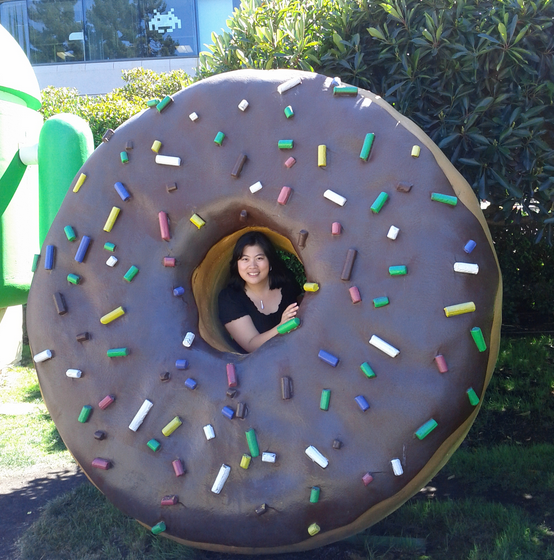 Today we’re featuring Cynthia Liem, a PhD student, Google European Doctoral Fellowship Recipient and former Google Anita Borg Scholarship recipient who interned as a Software Engineer on the research team in Mountain View, CA last summer. Please see the publishing workflow for more information. Understand Google Play policies and agreements. Test for core app quality. Determine your app’s content rating. Choose from: Everyone, Low Maturity, Medium, High. Once you determine what countries you want to offer to, you can begin the process of localization. Here’s a handy checklist to use when considering localization. Confirm the app’s overall size. Currently, the maximum size for an APK published on Google Play is 50 MB. Confirm the app’s platform and screen compatibility ranges. Before publishing, it's important to make sure that your app is designed to run properly on the Android platform versions and device screen sizes that you want to target. Decide whether your app will be free or priced. Deciding whether you app will be free or paid is important because, on Google Play, free apps must remain free. Set prices for your products (if necessary). Prepare promotional graphics and materials. When you publish on Google Play, you can supply a variety of high-quality graphic assets to showcase your app or brand. After you publish, these appear on your product details page, in store listings and search results, and elsewhere. Build and upload the release-ready APK. Complete the app’s product details. On Google Play, your app's product information is shown to users on its product details page, the page that users visit to learn more about your app and the page from which they will decide to purchase or download your app, on their Android devices or on the web. Link to Google Play in your various marketing campaigns. Using a Google Play badge gives you an officially branded way to promote your app to Android users; doing so can really help drive downloads. When you think you are ready to publish, sign in to the Developer Console and take a few moments for a few final checks. As always, follow AdMob on G+ for any new updates about the Challenge, and enjoy building the marketing strategy for your apps; as any Google product marketer would tell you, what happens after the launch is what determines whether a project was successful or not. Most apps for The AdMob Student App Challenge are finished at this point; it’s now time to think developing a product marketing plan for your teams app. For a more in-depth pre-launch guide, take a look at the Android checklist here. The goal of this post is to provide some context around the best way for your team to prep your app for launch, and to make sure it’s as successful as possible on the Google Play store. 40th Annual Convention in Nashville, Tennessee. Over 10,000 diverse engineers will come together for the opportunity to attend various STEM related sessions such as tech talks, career development workshops, poster sessions and the annual career fair. 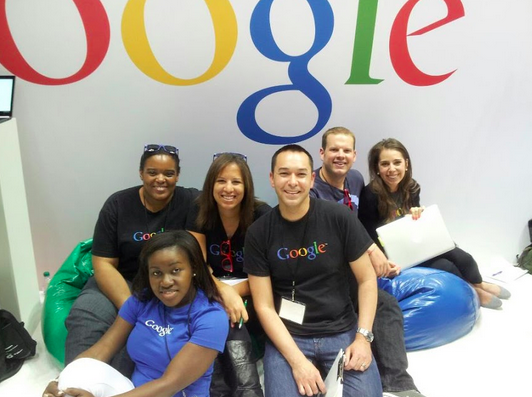 As a member of the Board of Corporate Affiliates for 2013-2014, Google will be hosting a number of CS-focused events, in addition to being the premier sponsor of NSBE’s first-ever national Hackathon. The 24-hour Hack will highlight up to 150 students working in teams to compete against one another to create the best games and mobile and web apps. Are you interested in seeing what you and a team can come up with in 24 hours of coding, food, and fun? If so, you can register here. Don’t worry if you don’t have a team - individuals will have a chance to team up at the beginning of the Hack. In addition, Google will be hosting an “an app in an hour” workshop on Thursday, March 27th and we will be in full force at the career fair at booth #916 both Thursday and Friday. If we haven't already given you enough reason to join us in Nashville - Google is also offering travel grants for students to attend the conference. If you're interested, apply here by March 7, 2014. Google is descending upon Music City. From March 26-30, 2014, over 30 Googlers will be attending the National Society of Black Engineers (NSBE) 40th Annual Convention in Nashville, Tennessee. Over 10,000 diverse engineers will come together for the opportunity to attend various STEM related sessions such as tech talks, career development workshops, poster sessions and the annual career fair. 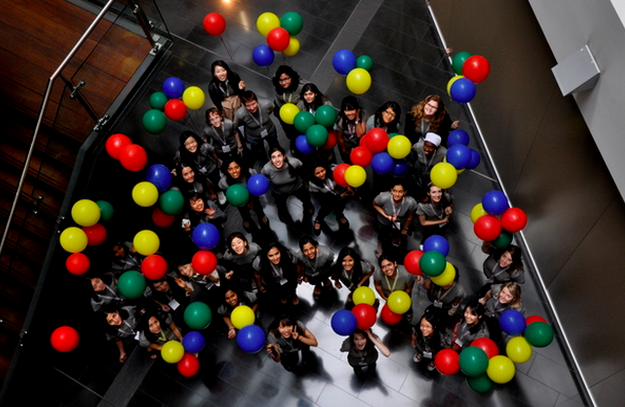 Applications for the Google Anita Borg Memorial Scholarship: Asia Pacific are now open! honors the memory of Dr. Anita Borg who devoted her life to encouraging the presence of women in computing. The scholarship is open to current female undergraduate or graduate students who will be studying at a university in Asia Pacific for the 2015 academic year. Applicants should be enrolled in a computer science, computer engineering, or closely related technical program and exemplify leadership and demonstrate passion for increasing the involvement of women in computer science. Recipients of the scholarships will receive a scholarship amount specific to their local region in respect to tuition and be invited to attend an annual Google scholars’ retreat at a Google office in Asia Pacific. Applications close on 18 May 2014, 11.59PM PST. Apply today! The Google Anita Borg Memorial Scholarship: Asia Pacific honors the memory of Dr. Anita Borg who devoted her life to encouraging the presence of women in computing. The scholarship is open to current female undergraduate or graduate students who will be studying at a university in Asia Pacific for the 2015 academic year.